Enjoying a cul-de-sac position set back from the main road is this detached family home boasting FOUR DOUBLE BEDROOMS and two en suites. Two reception rooms plus sun room, SUPERB MODERN KITCHEN, parking for several vehicles, DOUBLE GARAGE and south-west facing garden. 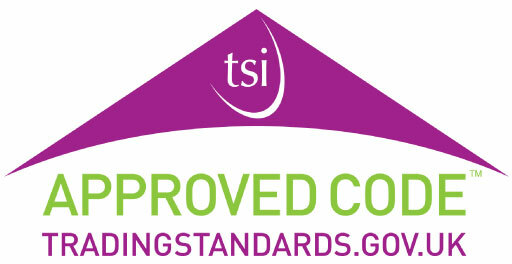 EPC rating C77. Enjoying a cul-de-sac position set back from the main road with only two other properties is this detached family home boasting four double bedrooms, the master bedroom having an en suite shower room, addition to the second and third bedrooms sharing a Jack and Jill en suite shower room. Enhanced by American white oak internal doors throughout, there are also two reception rooms, superb modern kitchen, sun room, parking for several vehicles, double garage and south-west facing garden. The accommodation briefly comprises entrance hall, spacious through lounge with sun room off, kitchen/diner, separate dining room, utility room, double garage and downstairs w.c. The first floor landing leads to four double bedrooms, three with en suite facilities, in addition to the main family bathroom/w.c. Outside, there is a lawned garden to the front and a block paved driveway providing ample off street parking for several cars leading to an attached double garage. Attractive lawned garden to the rear enjoying a pleasant south-westerly aspect, with lawn, timber decked and paved seating areas and a range of established plants, trees and shrubs. 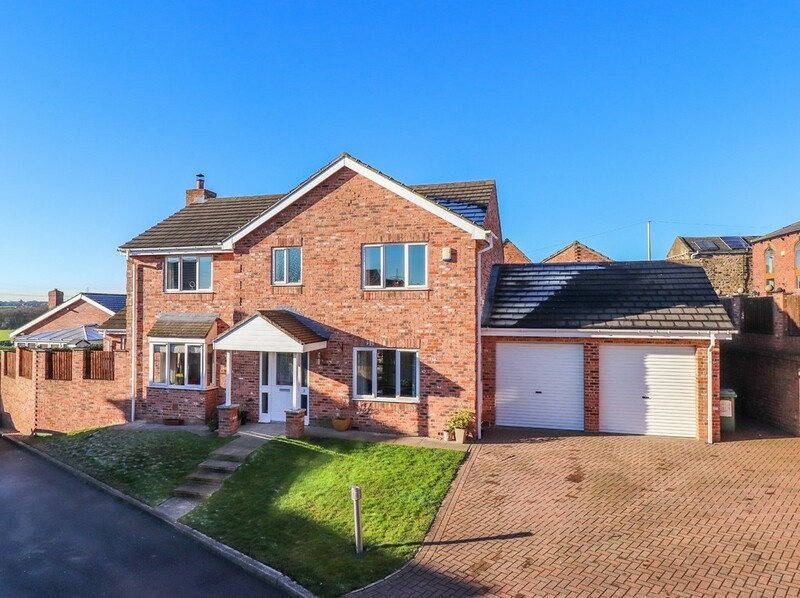 Situated in the sought after area of Tingley, popular with families and commuters having excellent access to both the M1 and M62 motorway networks, primary and secondary schools, local shops and nearby bus routes running to Wakefield and Dewsbury. Only a full internal inspection will reveal all that is on offer at this quality home and an early viewing comes highly recommended. ENTRANCE HALL Front entrance door leading into the entrance hall with glazed side screens. Coving to the ceiling, inset spotlights to the ceiling, central heating radiator, solid wood flooring, American white oak staircase to the first floor landing, double doors to the living room and doors to the kitchen/diner, dining room and downstairs w.c. LIVING ROOM 21' 7" x 13' 10" (6.58m x 4.23m) A spacious through lounge with UPVC double glazed walk-in bay window to the front, further UPVC double glazed window to the side and UPVC double glazed French doors to the rear garden. Solid wood flooring, coving to the ceiling, two central heating radiators and an inset cast iron multi-fuel burning stove on a glazed hearth with wooden mantle. Door to the sun room. SUN ROOM 13' 9" x 9' 1" (4.20m x 2.79m) Enjoying a triple aspect with UPVC double glazed windows to the front and rear and sliding patio doors to the rear garden. Solid wood flooring, central heating radiator and inset spotlights to the ceiling. DINING ROOM 12' 1" x 8' 11" (3.69m x 2.73m) UPVC double glazed window to the front, coving to the ceiling, inset spotlights to the ceiling, solid wood flooring, central heating radiator and door to the kitchen/diner. KITCHEN/DINER 19' 7" x 9' 5" (5.99m x 2.89m) Comprising a range of modern gloss wall and base units with solid wooden work surface and tiled splash back. 1.5 ceramic sink and drainer, integrated dishwasher, integrated fridge, integrated combi microwave/oven/grill, space for a range style cooker, space for a tall fridge/freezer, Karndean flooring, central heating radiator, inset spotlights to the ceiling, UPVC double glazed window to the rear and UPVC double glazed French doors to the rear garden. Door to the utility room. UTILITY ROOM 7' 6" x 4' 11" (2.30m x 1.50m) Modern gloss wall and base units with laminate work surface and tiled splash back. Plumbing and space for a washing machine, space for an under counter fridge, central heating radiator, extractor fan and Kardnean flooring. DOUBLE GARAGE 17' 0" x 16' 5" (5.20m x 5.02m) Twin electric roller doors to the front, power, lighting, steel rear entrance door to the garden and storage in the roof space. DOWNSTAIRS W.C. 5' 7" x 2' 7" (1.72m x 0.80m) Two piece suite comprising low flush w.c. and wall mounted wash basin with tiled splash back. Central heating radiator and extractor fan. FIRST FLOOR LANDING Inset spotlights to the ceiling, central heating radiator, loft access and doors to four bedrooms and the house bathroom/w.c. BEDROOM ONE 13' 11" x 9' 6" (4.26m x 2.92m) plus wardrobes UPVC double glazed window to the front, central heating radiator, built-in wardrobes to one wall and door to the en suite shower room/w.c. EN SUITE SHOWER ROOM/W.C. 9' 2" x 6' 10" (2.80m x 2.10m) max, L-shaped Three piece suite comprising shower cubicle with mixer shower, low flush w.c. and pedestal wash basin. Shaver socket point, vanity mirror, UPVC double glazed frosted window to the front, fully tiled walls and floor, extractor fan, inset spotlights to the ceiling and chrome ladder style radiator. BEDROOM TWO 12' 7" x 12' 2" (3.85m x 3.72m) plus walk-in area and wardrobes UPVC double glazed window to the front, central heating radiator and fitted wardrobes to one wall. Door to the jack and jill en suite shower room/w.c. JACK AND JILL EN SUITE SHOWER ROOM/W.C. 7' 7" x 5' 0" (2.33m x 1.54m) Three piece suite comprising shower cubicle with mixer shower, low flush w.c. and pedestal wash basin. Fully tiled walls, extractor fan, inset spotlights to the ceiling and chrome ladder style radiator. Door to bedroom three. BEDROOM THREE 11' 1" x 8' 3" (3.39m x 2.53m) UPVC double glazed window to the rear and central heating radiator. Door returning to the landing. BEDROOM FOUR 11' 10" x 9' 4" (3.61m x 2.86m) plus walk-in area and wardrobes UPVC double glazed window to the rear, central heating radiator and fitted wardrobes to one wall. HOUSE BATHROOM/W.C. 8' 2" x 8' 1" (2.50m x 2.48m) Four piece suite comprising freestanding double-ended bath with hose attachment, separate shower cubicle with mixer shower, low flush w.c. and pedestal wash basin. UPVC double glazed frosted window to the rear, fully tiled walls and floor, extractor fan, inset spotlights to the ceiling and chrome ladder style radiator. OUTSIDE There is a lawned garden to the front with gated access at the side of the property into the rear garden. A block paved driveway provides ample off street parking for several cars leading to an attached double garage. Attractive lawned garden to the rear enjoying a pleasant south-westerly aspect, with lawn, timber decked and paved seating areas and raised railway sleeper borders with a range of established plants, trees and shrubs. Wood store.